I am not going to ramble on about what host based intrusion detection is or why to use it, as there are plenty of articles already covering those subjects. This article is just to show you how to get Samhain up and running in a client / server configuration with a couple bells and whistles thrown in for fun. I highly recommend you read the entire guide before you start, it will most certainly help. There is a lot of swapping between client and server as I try my best to confuse you, so stay sharp! NOTE: Please keep in mind that development tools on production servers is perhaps not the best of ideas. These packages may further assist the wannebe hacker, fill up precious megabyte or eat your cat. It is recommended to build the required packages on your build server, test them, create rpm / deb package and then deploy said packages on your production environment. 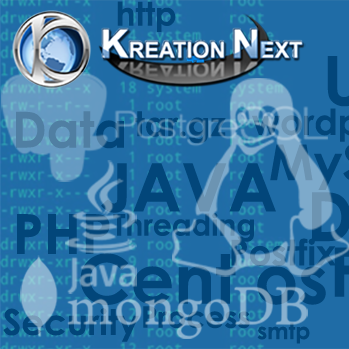 You will need the MySQL development package (generaly mysql-devel) installed for the server side of things. The server and client(s) host name must be fully qualified. The server and client(s) /etc/host file must be correct (really correct, not Red Hat default correct), and DNS must be working for both forward and reverse lookups. Port 50888 TCP should be open, or whatever port you set when building. ImageMagick is required on the client. Yule is the server side component of Samhain. After you have extracted and checked the package, make sure you are the root user, in the top level directory of the unpacked source files. Quit this shell, so that we are back to the root user. So now we have a gpg key, lets get on with building the packages. The default gpg binary does not support the TIGER192 checksum. As such, we first build a vanilla Samhain binary so that we can get that capability from the Samhain binary. Enter passphrase: This is a long passphrase ! <– This is the passphrase we set earlier. Side note: I am unsure why gpg is complaining about the ownership, as the permissions is just fine. Now install the initialization script, set up MySQL user / permission and fix some file permissions. echo “grant select, insert on samhain.log to samhain@localhost IDENTIFIED BY ‘samhain’;” | mysql -p <– This will ask for your root MySQL password. echo “FLUSH PRIVILEGES;” | mysql -p <– This will ask for your root MySQL password. Set yule to start at boot. However, the service should start fine. These two warnings are due to the [Database] header being commented out. Either uncomment it, or comment said two lines out. They are true by default. Log in on the server you wish to install the Samhain client on and make sure you are the root user. Also make sure you have all the essential build packages installed, refer to the overview for installation of these essential build packages. First, we need a gpg key for root. See previous example for detailed steps. Now we need to pull out the fingerprint for this key, so that we can use it when building the Samhain binary. As before, we need TIGER192 checksum capability first. Now, since we are having a bit of fun, we are going to change the name of the binary and process. Classical security by obscurity. I’m picking the name john, a general purpose password cracker. Pick a name that will not stand out in a process listing and shout out “THIS IS A HIDS PROCESS !!!!11”. Then again, know how much/little a name change actually hides what this binary does before you rely on it to hide you’re HIDS from a l33t haxor. Make sure to change IP_OF_YOUR_SERVER to the actual IP address of your Yule server. Make the required directories, copy the binary over (with the correct name) and put the initialization script in place. Set the password and overwrite the binary. “jingle” Does not matter, it’s just the append and the number is what you want in 16 bit 0-9, A-F (A.K.A HEX). You can use yule -G on the server to generate a random number for you. Change the description in the initialization script. Make sure the daemon starts at boot. The HEX key we just embedded in the client binary, we need it now to tell the server about that client. /usr/local/sbin/yule -P 161718abcd212324 | sed ‘s/HOSTNAME/CliENT_HOSTNAME_HERE/’ >> /etc/yulerc <– Make sure to put the client host name (FQDN) in. Edit /etc/yulerc and move the key above the GPG signature. The following steps are always required when you’ve made changes to the configuration files. Edit /etc/yulerc and remove the first 3 and last 7 lines, this is the GPG/PGP signature. There will be another line here later on. # Configuration file template for yule. gpg -o yulerc.asc -a –clearsign –not-dash-escaped /etc/yulerc <– Type in the passphrase we set earlier. We will need to create the configuration file and embed it into a postscript file. Make sure you have Imagemagick installed, as you will need convert. Go and download a good looking picture like http://apod.nasa.gov/apod/image/0903/tycho_chandra_big.jpg. You will want at least a 200K size image, if not larger, to hide the configuration file in it. Also, it is handy to have an original configuration file as backup. NOTE: The following steps has to be done each time you wish to modify the configuration file of the client. convert tycho_chandra_big.jpg tycho_chandra_big.ps <– Convert the JPG to a postscript file. cp samhainrc.linux rc.`hostname` <– Get a default configuration. gpg -a –clearsign –not-dash-escaped rc.`hostname` <– Clear sign the configuration. mv rc.`hostname`.asc rc.`hostname` <– Move the signed file to the normal file name for the configuration file. /usr/local/sbin/john_stealth -s tycho_chandra_big.ps rc.`hostname`<– Steganographically hide the configuration file inside the postscript file. rm rc.`hostname` tycho_chandra_big. * <– Remove the “clean” files. scp tycho_chandra_big.ps YULE_SERVER:~/rc.`hostname` <– Assuming scp with root. In real life, please do not open ssh for root. cp ~/rc.CliENT_FQDN /var/lib/yule/ <– Make sure to fill in the clients FQDN. chown yule:yule /var/lib/yule/rc.CliENT_FQDN <– Make sure to fill in the clients FQDN. This will now build the database in /var/lib/john. Don’t worry about all the output at this stage, we are just getting things up and running now. After we have a database, we have to sign it and copy it over to the server. scp /var/lib/john/john.asc YULE_SERVER:~/file.`hostname` <– Assuming scp with root. In real life, please do not open ssh for root. It is important that all configuration files start with rc and all database files start with file. Change the log level in /etc/yulerc to info or above (always remember to re-sign the configuration file as described). Recompile without some of the options to test. Now we don’t want to be leaving breadcrumbs behind us, some clean up is required. Delete all the source files and any tarballs that was downloaded if you built directly on a production server. Delete all entries from your shell history. Remove all the development packages that was installed if you built directly on a production server. Basically, get rid of any evidence of what you just did. You can then examine the output file and make the appropriate changes to the Samhain configuration file. The database will be created in /var/lib/samhain. Do not run samhain -t init more than once without deleting the database. Once you are happy with the configuration, build Samhain in server / client mode. NOTE: It is however rather important that you profile your server and tune Samhain before it is connected to the Internet. Now for a bit of fun. We really do want intruders to let us know they are on our system. So, we create 2 (or more) files with catchy names and tell Samhain to monitor those files for any changes (that includes access times). I have not tested this yet, this is just on top of my head, so it may well be very wrong. check_log -F /var/log/yule_log -O /var/log/yule/yule_nagios_diff_log -q "ERROR|CRIT|ALERT"
check 1: The check returns an error, as it spotted your query (lets say CRIT) in the difference from the old stored log file and the current running log file. The check command now updates the old stored log file. check 2: There is no longer a difference between the old stored log file and the current running one, thus the check passes OK. Either modify Nagios to alert after a single failure, or write a wrapper specifically for this check to create a lock file somewhere. You then check for this lock file and alert if it exists. Both approaches have some down sides. If we alert on a single check, be prepared for false alerts due to packet loss or a shift in the force. If we create a lock file, you will have to manually remove it. Now that we are monitoring the log file for changes detected, we also need to monitor that the client process is still up and running. Of course, you will also want to monitor that the server process is running all the time. I am sure someone will come up with a better way of Nagios integration, like I said, this is just thinking out loud. At the end of the day, the clear text configuration of each machine being monitored, is neither kept on the client nor on the server. The clear text configuration files should be kept on a different machine inside an encrypted partition. Nagios makes sure we are alerted of anything (via e-mail or SMS) and hopefully, an intruder will bite on the honey so that we can see him, potentially, even quicker. Further more, you can not access any help files (such as ./samhain –help or man pages) to indicate that there is a HIDS running on the client. Of course, if you get access to the server, you can see all the clients who logs in. There are further compiler options so that the logs are also encrypted. In the voice of Shrek: “Security is like an onion, it has many layers.” Remember that host based intrusion detection is just one more layer in this onion. You also need a good firewall, network intrusion detection, monitoring, centralised logging, log analysis, TCP wrappers, SELinux (or some other mandatory access control mechanism), brute force blockers like fail2ban and much more. As an example of this, the entire host based intrusion detection is rendered moot if the hacker just kills the process and you are not using monitoring to make sure that the service is running.